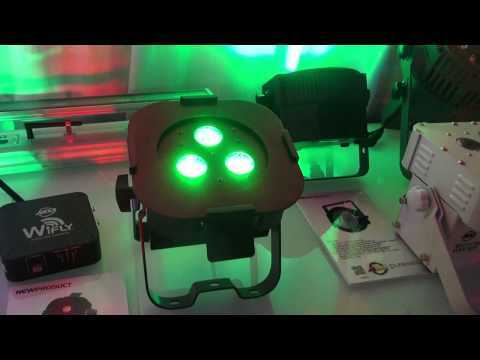 The ADJ Ultra HEX Par 3 is a versatile LED Par fixture with 3x 10-Watt , 6-IN-1 HEX LEDs. With a 40-degree beam angle, users may produce wide washes with smooth color mixing from 64 built-in color macros utilizing red, green, blue, amber, white and UV LEDs. Not only is this LED Par great for lighting stages, but with its patent pending, intelligently designed, power and DMX connectors, it’s great for uplighting a venue. Considering purchasing the American DJ Ultra Hex Par3? Have questions? Ask people who've recently bought one. Do you own the American DJ Ultra Hex Par3? Why not write a review based on your experience with it. 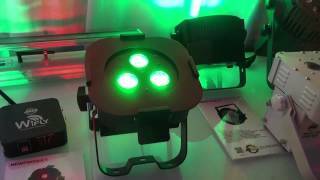 Seen a video for American DJ Ultra Hex Par3 online or have you own video? Check out American DJ Ultra Hex Par3 on DJkit.com!